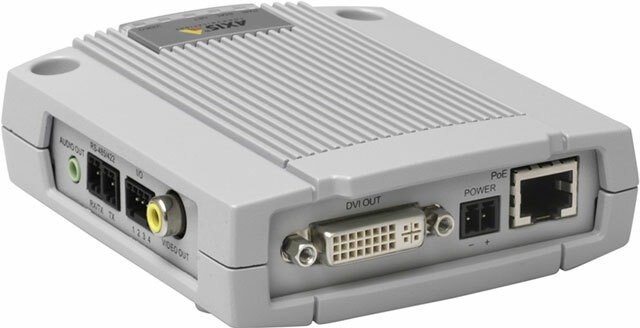 The Axis P7701 Video Decoder provides a simple monitoring solution by enabling analog or digital monitors/projectors to connect to and display live video from Axis network cameras and video encoders. In situations where only live video display is required, such as with a public view monitor at a store entrance, Axis P7701 Video Decoder offers a more cost-effective solution than using a PC for connecting a monitor. Axis P7701 Video Decoder can also complement a video management system by helping to offload the main server from decoding digital streams simply for display purposes.